Love this - Vinery is a pop-up wine bar, modelled on the Berlin 'Weinerei' style of wine bar - you pay for your glass, then drink what you want from a range of bars, and pay as you leave, on an 'honesty' basis. I've been to one of these in Germany and they're great fun. 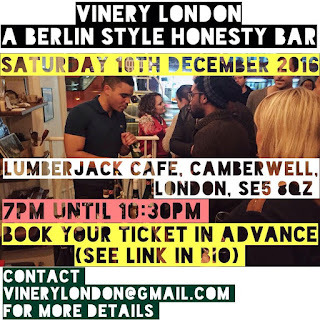 They did it back in October, and now it's back on Saturday 10th December at Lumberjack Cafe in Camberwell Church Street SE5. Tickets are £5.90, and bring lots of cash on the night to pay for what you drink. Go! 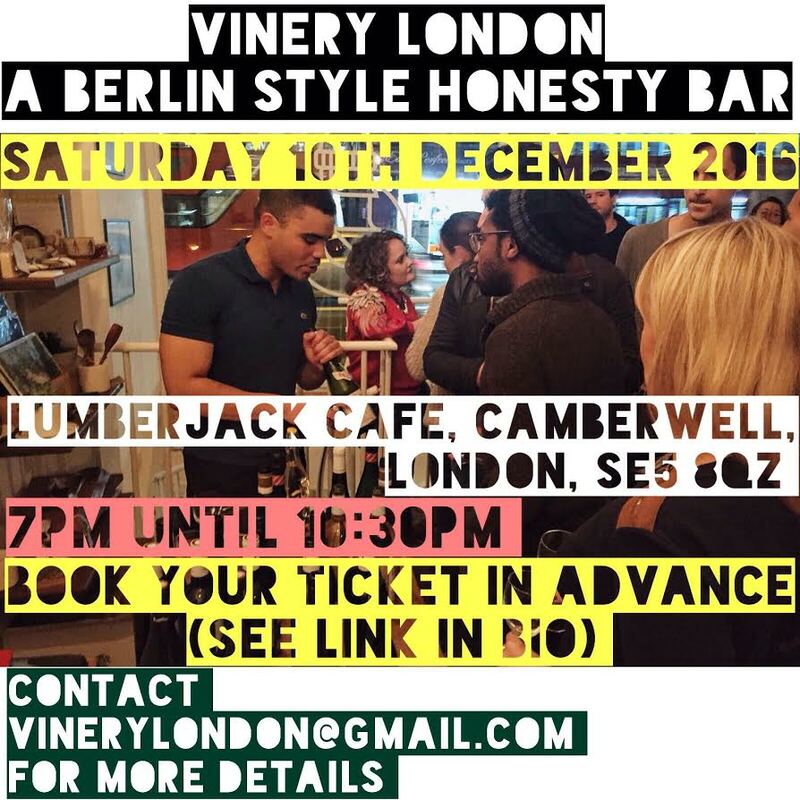 Our second event will once again be hosted at the Lumberjack Cafe in Camberwell. It's on Saturday December 10th and will run 7pm to 10.30pm. You can expect to find a relaxed atmosphere where you can enjoy some incredible wines without breaking the bank. If you're in the mood you might even learn a little."